Shop online for 162 iko model trains. This is the HO Scale Automobile Plymouth Suburban Various Colors from EKO Plastic Models. This is the HO Scale Automobile Studebaker Hawk Various Colors from EKO Plastic Models. This is the HO Scale Automobile De Soto Diplomat Various Colors from EKO Plastic Models. This is the HO Scale Automobile Jeep Wagon Various Colors from EKO Plastic Models. This is the HO Scale Military United States World War II Truck M35 2-1/2-Ton Cargo/Personnel Carrier with Canvas Cover from EKO Plastic Models. This is the HO Scale Military United States World War II DUKW Amphibious 6x6 Truck (Duck) from EKO Plastic Models. This is the HO Scale Military German World War II Artillery Light Cannon from EKO Plastic Models. 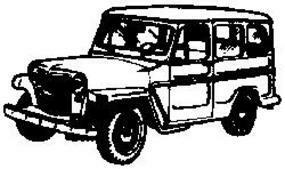 This is the HO Scale Automobile Jeep Pick-Up Truck from EKO Plastic Models. This is the HO Scale Camper Two-Wheel Camping Trailer Various Colors from EKO Plastic Models. This is the HO Scale Truck Thames Flatbed Truck from EKO Plastic Models. This is the HO Scale Citroen DS 19 Sedan Assembled Various Colors from EKO Plastic Models. This is the HO Scale Barrels, Boxes & Sacks Assortment (8) from EKO Plastic Models. This is the HO Scale Automobile Studebaker Avanti Various Colors from EKO Plastic Models. 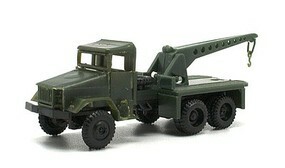 This is the HO Scale Military United States Post-1945 Heavy Truck GMC M35 2-1/2-Ton 6x6 Lacrosse Missile Launcher from EKO Plastic Models. 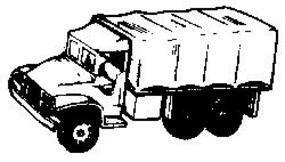 This is the HO Scale Truck Camion Dump Various Colors from EKO Plastic Models.